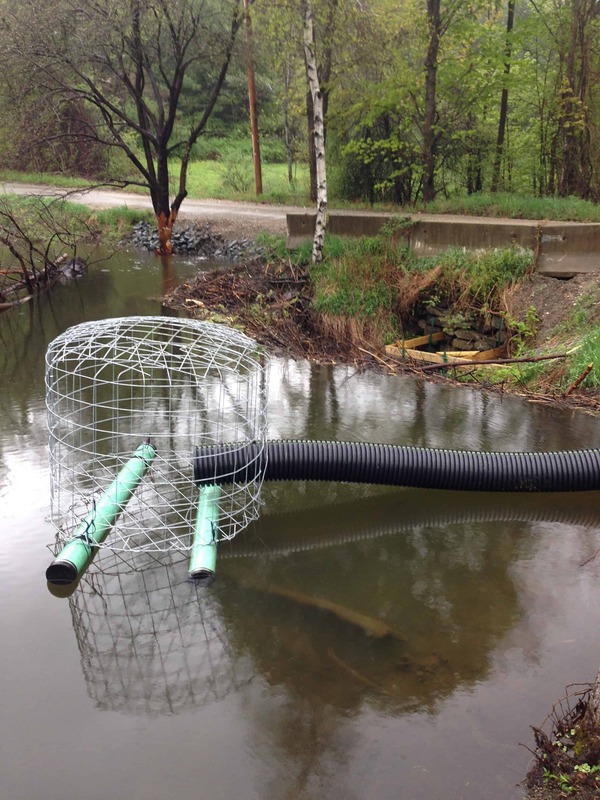 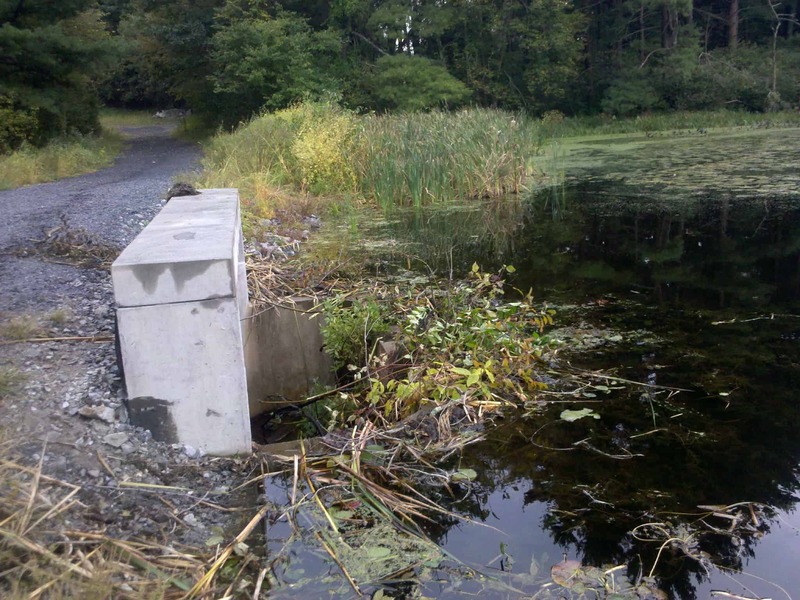 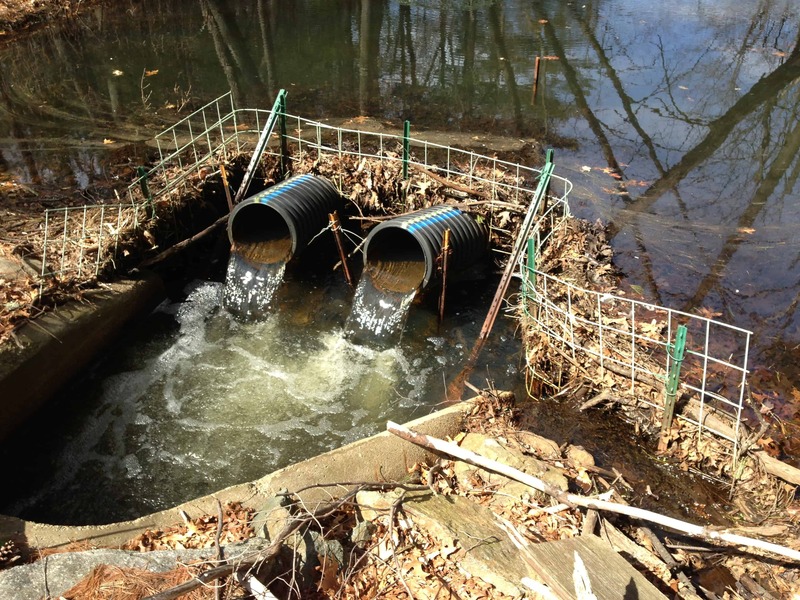 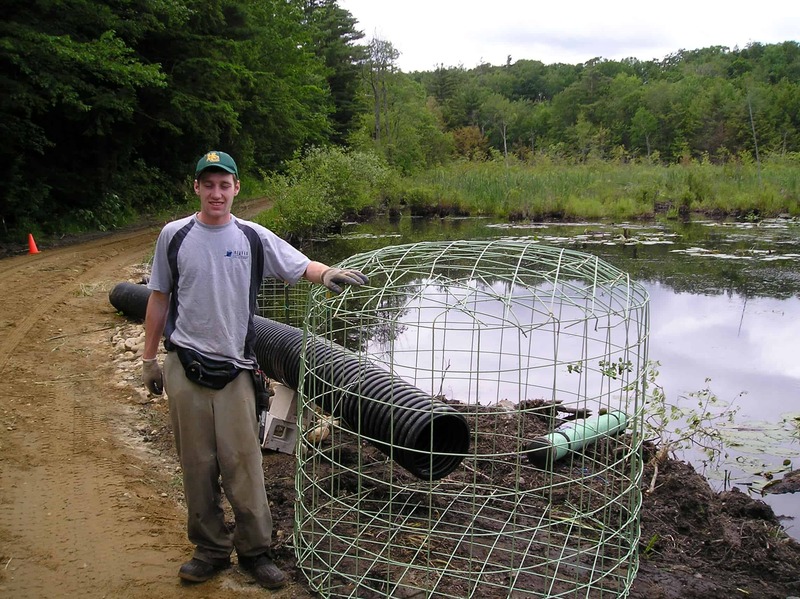 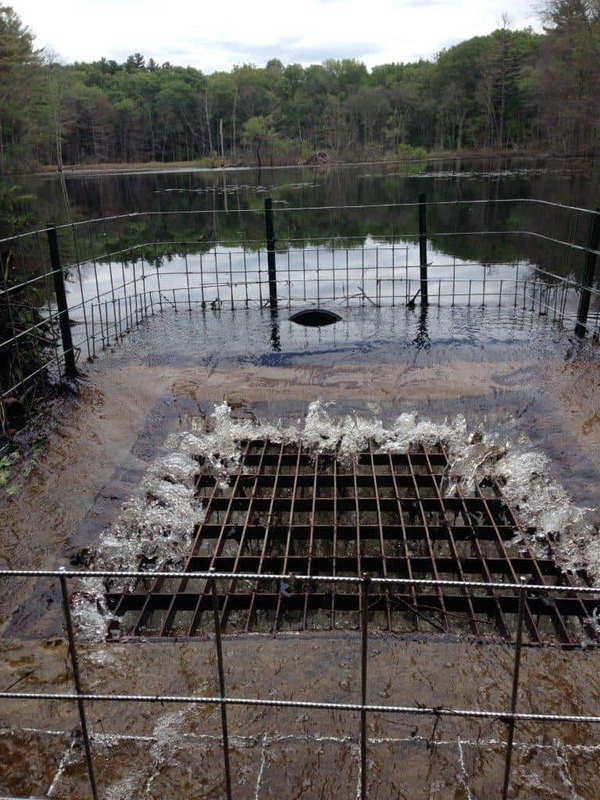 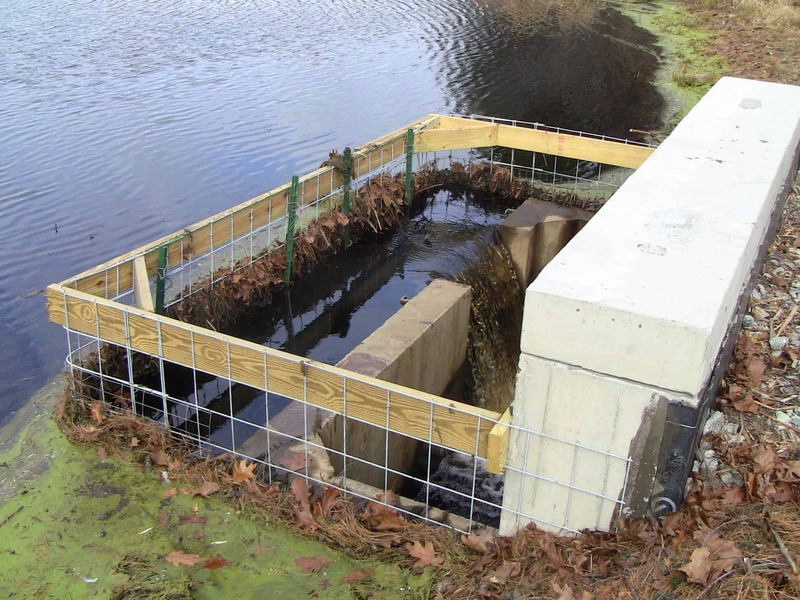 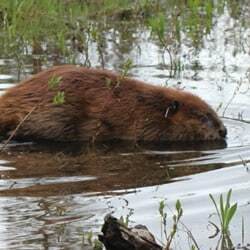 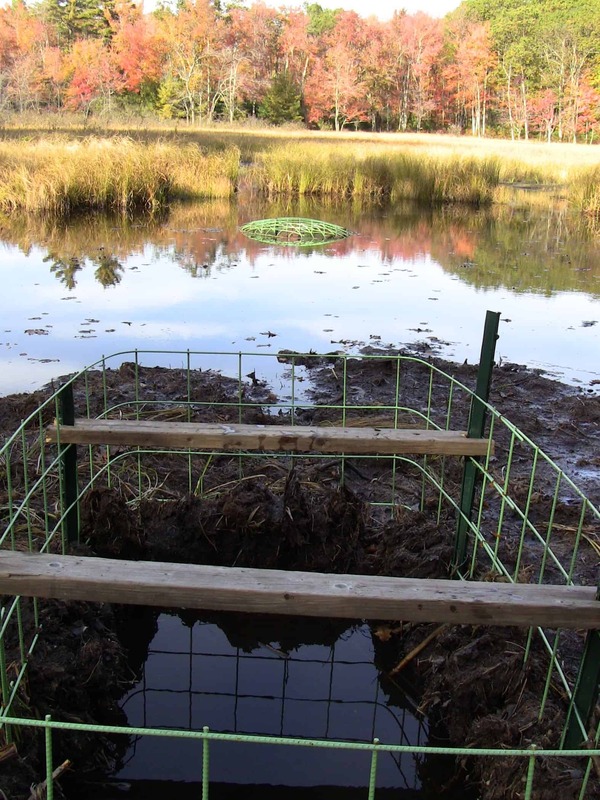 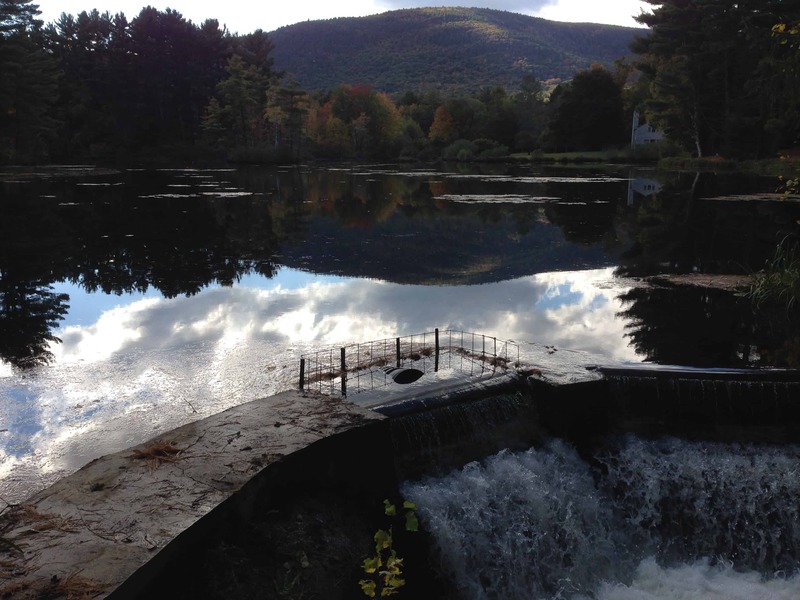 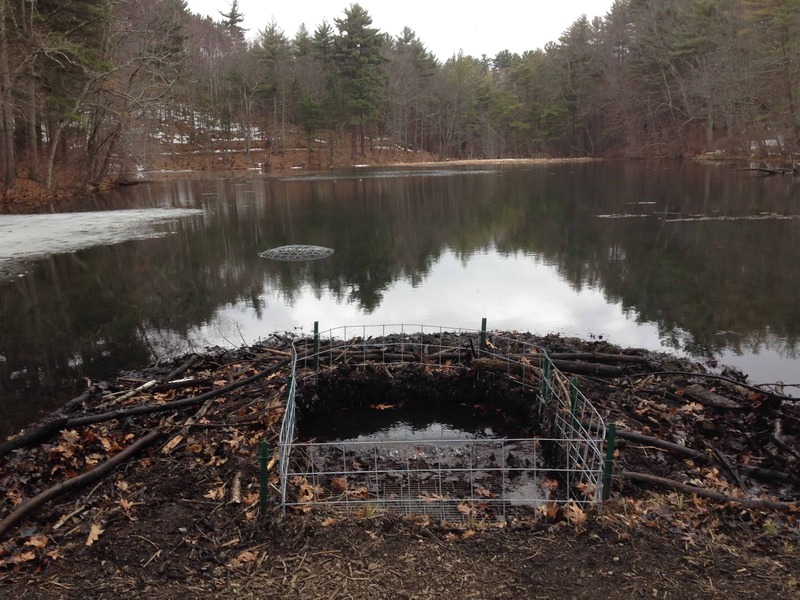 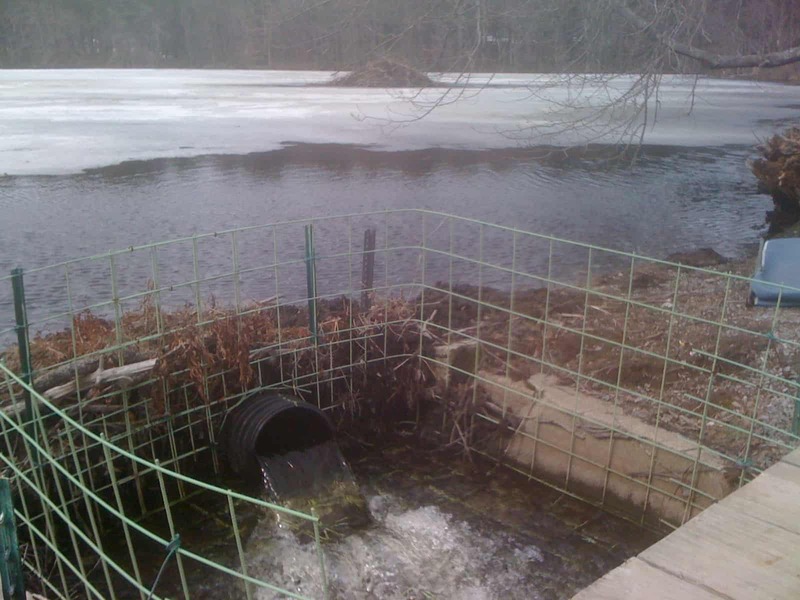 If a roadbed is high enough that a small beaver pond does not pose a threat, the combination of a small culvert protective fence and a Flexible Pond Leveler™ system may be the best beaver management option. 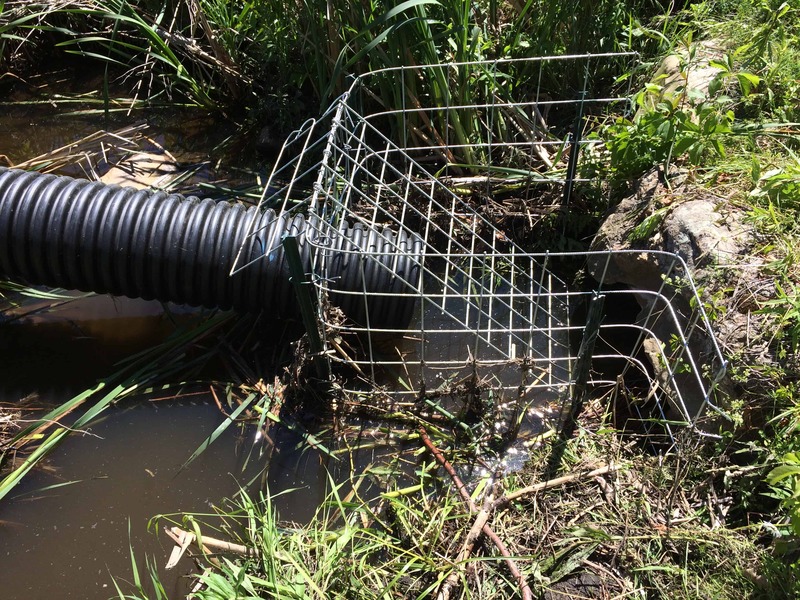 This beaver control device has a 99% success rate, controls beaver damming, prevents beaver damage, requires little maintenance, and maximizes the environmental benefits of the beaver pond. 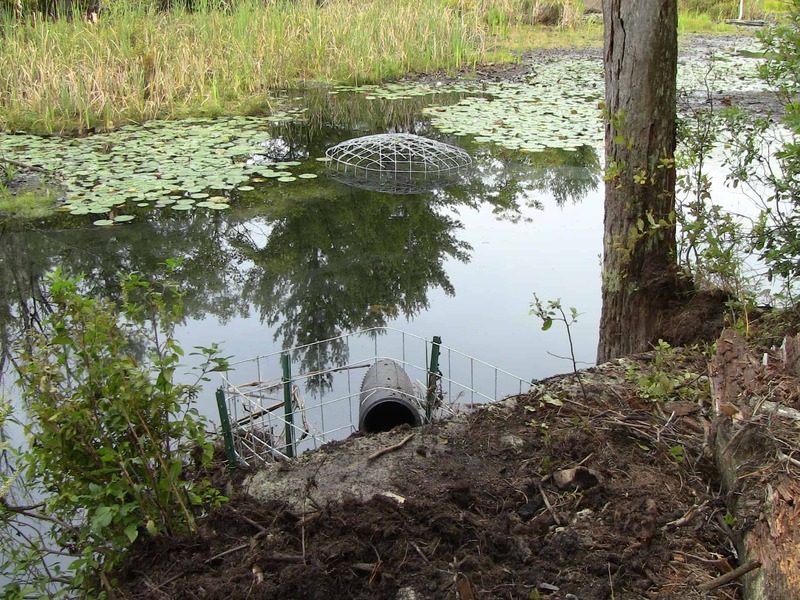 The fence is constructed so that beavers can dam against it, but excludes them from the culvert so it remains unobstructed. 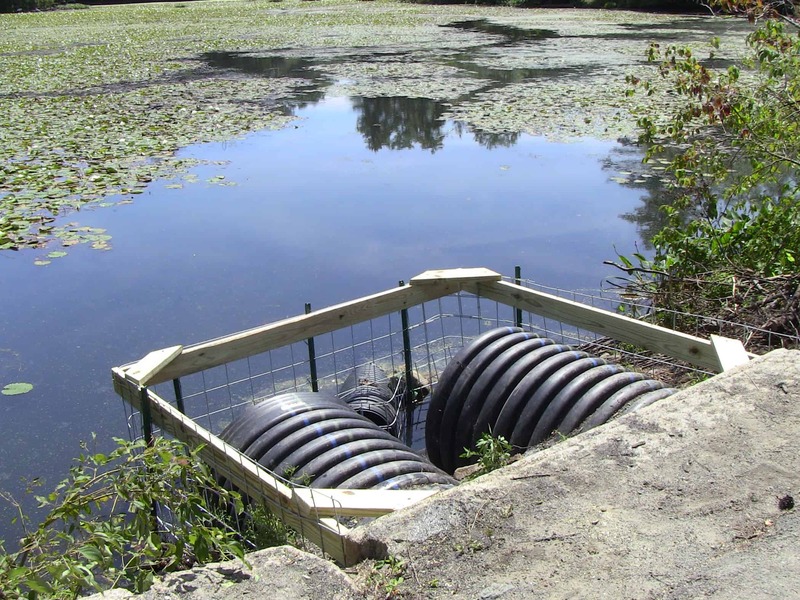 After the fence is installed a Flexible Pond Leveler™ is installed through the fence and the pipe outlet is set at the desired pond level. 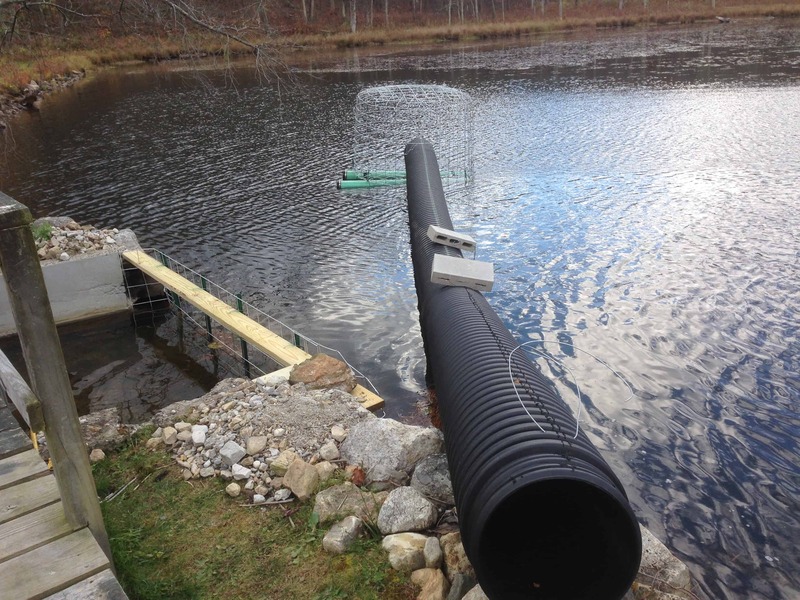 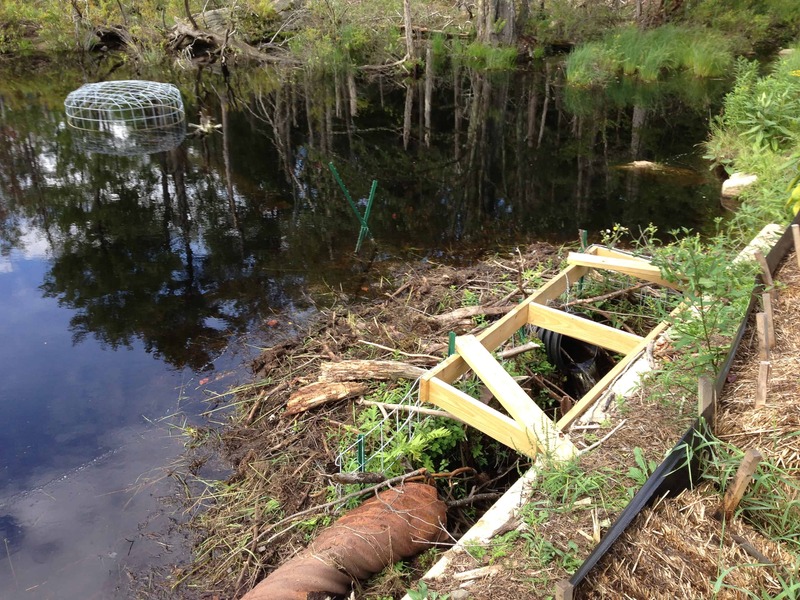 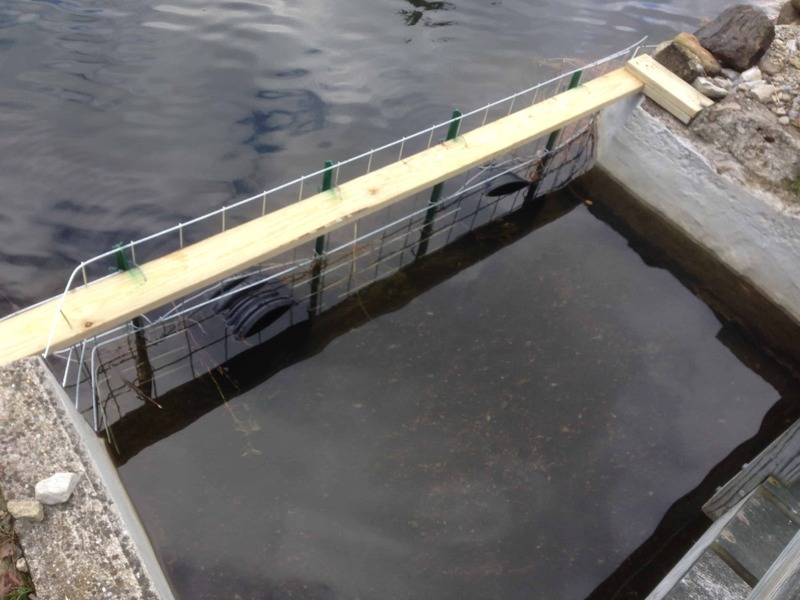 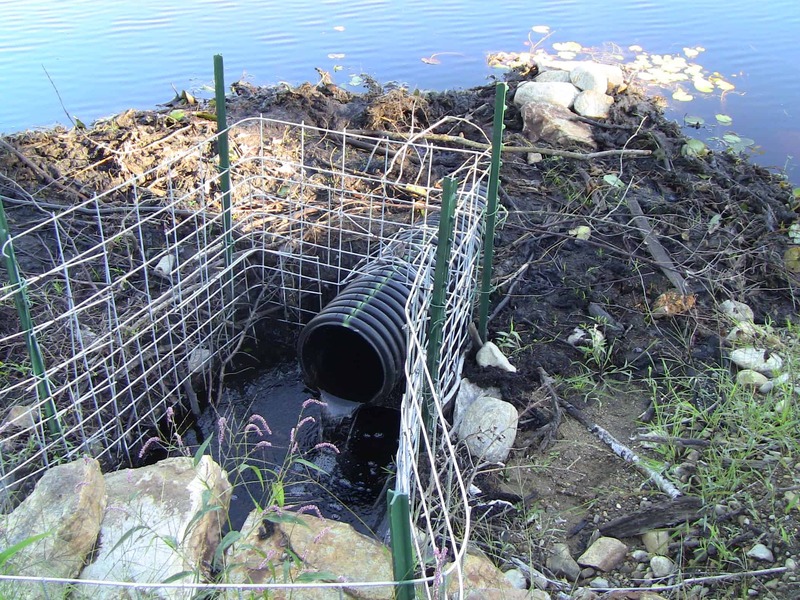 Even though the beavers can dam against the fence to hold back some water, the size of the pond they can create by damming on the fence is limited by the Flexible Pond Leveler™ pipe system. 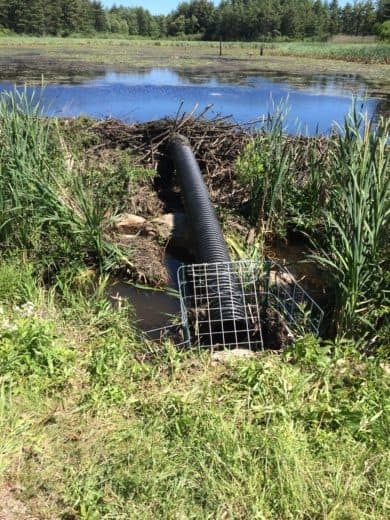 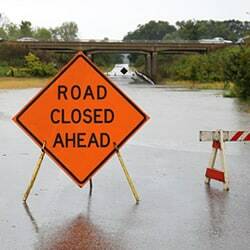 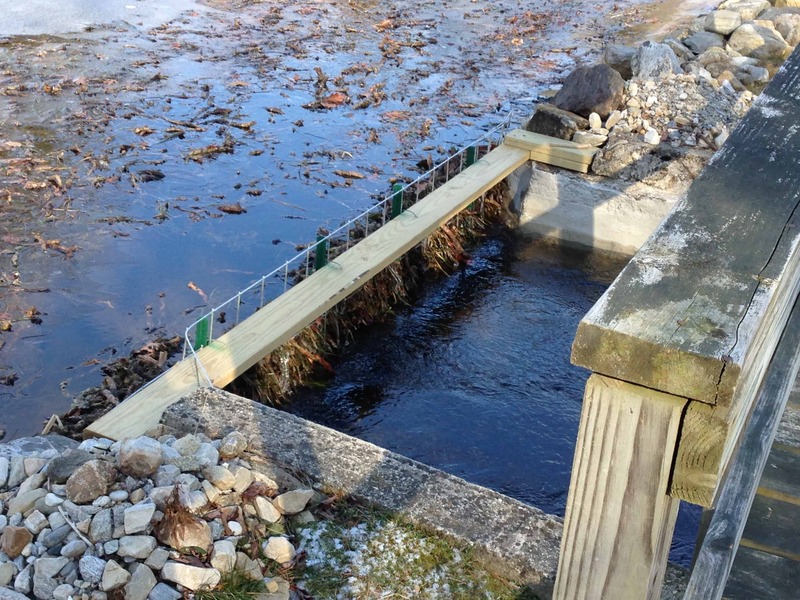 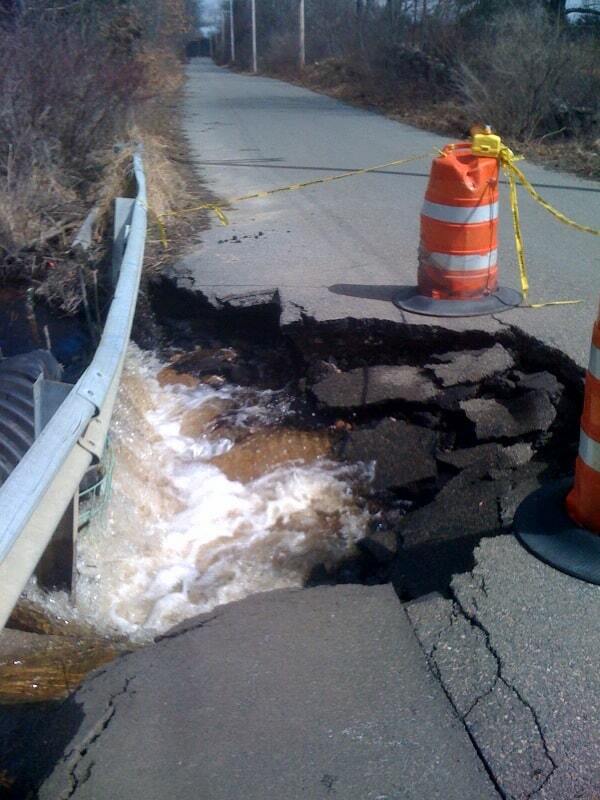 If heavy storm runoff temporarily exceeds the pipe capacity water will flow over the dam on the fence and through the unblocked culvert just as it would have if there were no beaver damming.